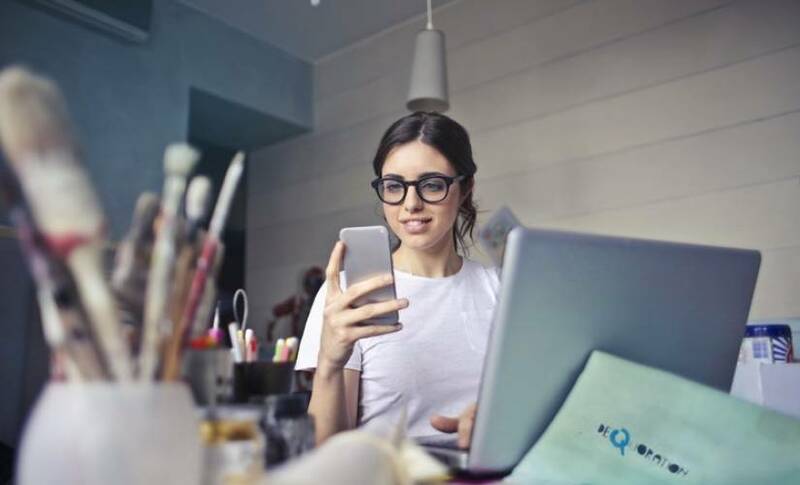 Freelancing has been dubbed the on-demand economy, where businesses hire independent contractors to perform tasks for the company instead of regular employees. Contractors are generally less expensive to hire because you only pay for what you need. This can make them more appealing for smaller or shorter term projects, but some Silicon Valley startups are moving away from hiring freelancers. If this shift becomes a growing trend, surviving in the freelance Internet-of-Things (or “IoT” for short) world will become even more competitive. Regardless of competition, there will always be businesses that want to hire freelancers. The problem is, if fewer businesses are hiring freelancers, then freelancers have to compete harder for the limited opportunities that exist. That means if you are a freelancer in the tech world, it is time to step up your game. It is not easy to survive in the freelance world to begin with. This guide is designed to help you survive and thrive in a gig-based economy no matter how competitive it gets. Communication is not just an exchange of words and ideas. Communication requires taking responsibility for how your words and ideas are interpreted and understood. That does not mean you are responsible for what other people hear. Of course not. You cannot control what others hear through their listening filters. You are responsible for refining your communication until your idea is understood by the other person. For instance, when someone does not understand what you have said, be willing to ask questions to find out where they got lost, rather than repeating yourself in frustration. Clients that are not tech savvy will not understand technical jargon, and you may not be aware when you use it. You need to know how to communicate with the intention of helping your clients understand. Although difficult to master, high-level communication skills should be applied to online communications, too. In today’s IoT-centric world, kids use their devices to communicate with their peers and even their parents more than they are using verbal language. Even adults use text messaging, email, and social media messengers to talk to each other, sometimes for hours, rather than making a phone call. An important communication skill to have is refraining from sending an immediate response to an electronic communication. Electronic communications should be precise, since you do not have the ability to address misunderstandings and refine your message in a back-and-forth conversation. When dealing with clients, communication skills are gold. Clients are notorious for having unrealistic expectations and making difficult or impossible requests from techies. If you want to survive as a freelancer, you will need to communicate with those types of clients in a non-threatening way. You need to be able to talk them out of their bad ideas without making them mad. Technology comes with an unfortunate side effect: your clients are going to Google you and find you on Facebook. Think twice before sharing anything on social media that can be taken out of context or intentionally twisted. Over-sharing on social media has become the norm. Your friends might appreciate your sarcasm regarding sensitive topics such as religion and politics, but potential clients may not. Even sharing videos from politically incorrect comedians can turn a client off. If you want to survive as a freelancer, you need to be your client’s top choice. You cannot give them any reason to doubt their relationship with you. If you are posting photos of yourself drinking beer from a keg on Facebook and making sarcastic jokes that could be offensive, be prepared to lose some projects. Even when left unspoken, clients naturally expect you to keep their sensitive data private. They do not always know the proper protocols for data security, so you may not be given specific instructions for how they want you to protect their data. It is still your responsibility, and clients will drop you as a freelancer if you do not. You are legally responsible for protecting your client’s data. For instance, if you send unencrypted emails to a sub-contractor containing sensitive client data, you can be held responsible for damages if that transmission is intercepted. You could also be held responsible if your sub-contractor fails to protect the data once they receive it, and a hacker gets ahold of it. To keep client data safe, never outsource tasks you have agreed to perform without explicit permission from the client. Always notify the client when you need to transmit their sensitive data over the internet to a third-party. If they want you to transmit data in an unsecure way because you cannot transmit it securely, make sure they understand the consequences and get it in writing to cover yourself later on. Avoid entering client passwords on public Wi-Fi networks unless you can encrypt your connection using a Virtual Private Network (VPN). If you need to work from public coffee shops and restaurants, be picky about where you work. Forcing yourself to work inside a noisy Starbucks simply because you want a Frappuccino or do not have a workspace is not a smart choice. Ideally, you want to find the sweet spot, where the location you work from has something you like on the menu, and you can be relatively undisturbed. Prioritize locations with secure Wi-Fi. Unless you live in a small town, you probably do not need to ask for a code to access public Wi-Fi. Open Wi-Fi networks are convenient but less secure. If possible, prioritize working from a location that offers secure Wi-Fi. Your clients’ data is at risk anytime you log into their accounts or communicate with them through email. If you cannot find secure public Wi-Fi, install a Virtual Private Network (VPN), a firewall, and other security software on your computer. A VPN encrypts your internet communications so even if a hacker steals your data, they cannot read it. A VPN can also hide your true location and make it look like you’re browsing the internet from somewhere else. Be aware that a VPN is not a guaranteed solution to all security problems. The recent Heartbleed bug makes it possible for hackers to decrypt your communications over a VPN, including passwords. Not all hackers can exploit your VPN, so even though a VPN is vulnerable, they still work to keep the majority of cyber criminals from accessing your data. For example, anyone can download free software from the internet and monitor public Wi-Fi traffic, stealing passwords and sensitive data. A VPN will protect you from most of those people because the majority are not real hackers. Avoid locations that require a purchase every hour. Businesses rely on customer purchases to make money, but when you are an entrepreneur on a budget it is in your best interest to avoid making multiple, unnecessary purchases. If you cannot avoid working somewhere that requires a regular purchase, buy a drink that offers refills at a lower price, like drip coffee or iced tea. You will be able to revisit the counter every hour or so and ask for a refill to fulfill your obligation to make a purchase. Avoid working in locations where people know you. This one is tough. If you live in a small town, you may only have one or two options, and you are going to run into people you know. If you live in a big city, you have a better chance at blending in undetected. When you cannot avoid working in public spaces where people know you, you have several options: place a “Do Not Disturb” sign on the side of your table and point to it when people approach you; place a similar sign facing people from your back so people entering the space know not to disturb you; or, you can be straight with people and let them know if they see you buried in your laptop, it is not a good time to talk. Or maybe it is time to stop working in cafes altogether. Find a designated coworking space. Although hosted in public spaces, a coworking space is different. Instead of going to a random restaurant and letting the waitstaff move you around when they need their tables, a coworking environment is a structured system. The restaurant designates an area as a workspace between certain hours. The fee for participating in a coworking space is easy to budget since it is a predictable expense, unlike hourly refills and purchases. Most spaces like the ones from Kettlespace, are organized during an establishment’s downtime so you will not get shuffled around. Like a regular office, most coworking spaces come with unlimited coffee, tea, and snacks. You will not feel guilty for hiding in the corner to avoid drowning yourself in refills you do not want. Coworking has been around for a while, and when orchestrated well, becomes an ecosystem for creativity and productivity. You do not need to sacrifice your health by pumping yourself full of caffeine and consuming specialty coffee drinks all day long. You might pay more for a coworking space than you would for a daily cup of coffee, but peace of mind (and unlimited snacks) are priceless. However, shop around to find the right coworking space – there are options for all budgets and needs. Your time is more valuable than you think. Valuing your time is not merely about making sure you charge the right hourly rate, or ensuring you get paid for the time you spend with clients. Valuing your time means protecting it fiercely; making sure every minute you give to another person is worthwhile to you. That is not to say you need to be selfish with your time and not do anything unless it benefits you. It means being consciously aware of how you are choosing to spend your time and not giving it out absentmindedly. This requires careful thought prior to making a commitment. For example, if you are someone that says “yes” to every request, you are probably wasting a good amount of time finding ways to get out of commitments you wish you never made. Or, those commitments are overloading you and stressing you out. Instead of saying “yes” in the moment, protect your time by telling people you need to think about it for a couple of days and you will get back with them. When you are high on inspiration, opportunities will sound more appealing than when you come down from that high. You do not need to gnash your teeth to be fierce. Fiercely protecting your boundaries means saying no when you want to say no, and sticking to it. It means creating rules everyone must play by when interacting with you. It sounds robotic and sterile, but it is what all the top entrepreneurs have to do to maintain any kind of order in their lives. For example, successful entrepreneurs do not take unscheduled phone calls during business hours, even from friends and family. Unless they are lounging around and are not engaged in work. Seeing the face of a loved one flash on your smartphone makes it hard to ignore the call even when you are busy. It is tempting to answer and quickly tell them you cannot talk and you will call them later, but there are two major problems with that. If you answer the phone to say you cannot talk, you are creating the expectation that even when you are busy, you will still answer your phone. This gives others the impression that you are available 24/7, even when you are not. The one time you do not answer, the caller will get upset. You can tell them you were in a business meeting, but if you have always answered previously, they will wonder why you chose now to ignore their call. They will take it personally, create a story around why you did not answer their call, and you will have to deal with the drama. You need to restrict access to your time. Set business hours (like Monday thru Friday, from 9:00 a.m. to 5:00 p.m.) and let people know during those hours you only accept scheduled calls, unless it is an emergency. This applies to friends and family as well as business associates. You will never get ahead in your business if you allow clients to have unrestricted access to you. Freelancers do not make money unless they charge for their services. They also have frequent tech breakdowns that cost money to fix, so earning money is important. If you are going to offer pro bono work, be strategic about it. Always ask for something in return. Clients who are not willing to reciprocate on even a basic level are going to take advantage of you. Avoid pro bono work that is not reciprocated in some form, and do not discount your services to the level of a small donation. The client could interpret that to mean you are willing to work at a discount. They might pass another project your way, expecting the same deal. If you need the money, you will be tempted to take their new project. If you take their new project, you will continue to take low paying gigs and you will be exhausted and have nothing to show for it. Instead of discounting your services, request something of equal value from the client in return. If they have products or services you would benefit from, come to an agreement for a fair trade. You could trade time for time, so for every ten hours you work, you receive ten hours of their services, excluding work that either of you need to outsource to a paid third party. Regardless of your agreement, make sure to send all pro bono clients a professional invoice so they can see the monetary value of the services they have received. Adjust the wording on the invoice to reflect your agreement but treat the project as if they are a paying client. Surviving as a freelancer in a competitive market requires charging full-price for your services even when you are performing pro bono work. There is no such thing as a free lunch. The world of Internet-of-Things (or “IoT”) is constantly changing in big ways. For example, cloud-based software like Microsoft Office 365 and Photoshop are popular enough to be considered a trend. They are also useful and have a bright future. For instance, cloud-based software can be updated automatically on the server side, rather than forcing users to manually download and install each update. The applications installed on a user’s machine are lightweight, and the server does the majority of the work, which leaves the user with more of their local computer resources. Nearly everyone experiences an increase in speed when using cloud-based applications. Also, bugs can be fixed on the server-side, and users do not need to lift a finger or worry about endless software security patches. Your clients need every option available to them, and their options are only as diverse as the software in your portfolio of knowledge. The more you stay up-to-date with the latest technology trends, the more knowledgeable you will be perceived to be by your clients. Clients like working with freelancers who provide them with options and do not try to convince them to use the only software they know. To stay afloat as a freelancer, you need to stay on top of your taxes to prevent getting behind. Each year, the tax rules change. The only people who stay on top of the multitude of changes are the tax professionals who need to know the tax code inside and out to do their job. The home office deduction is the most common deduction for entrepreneurs, but the requirements are ever-changing. For example, for 2017, the home office deduction requirements changed yet again, requiring a work area to be an enclosed space with some kind of door. No longer is it acceptable to claim a home office deduction if your workspace is merely in a separate, designated area in your home such as the kitchen table. By completing your own tax returns, you are risking making deductions you may not qualify for, even when you qualified the previous year. Tax professionals can spot inconsistencies immediately and prevent you from making innocent mistakes. Forget about painting your walls the perfect shade of blue to evoke a sense of importance from your brain. Hold off on buying a bunch of ergonomic furniture, too. Workspace décor and furniture are important, but it is secondary to the layout of your furniture and the way you arrange your tech tools. Getting comfortable as a freelancer means you are not growing. Without the structure of a regular 9-5 job, you have to create your own growth opportunities. You have to create limits to push yourself through and do your own research to figure out what is next. When the freelance world becomes competitive, you will be more likely to survive if you are willing to throw your hat over the fence and take on projects beyond your perceived abilities. If you do not get in over your head, you will never have a reason to research solutions to dig yourself out of a hole. What you learn by digging yourself out of a hole, you will take with you to your next project. The more you learn, the more valuable you become as a freelancer, and the more likely clients are to choose you in a competitive gig economy.